The U.S. Department of Transportation is testing cars with wireless tech that will alert drivers to impending crashes before they occur. Ok, so say you're driving down the road and through an intersection with a green light. No problem, you think, but what you can't see is a truck barreling down the hill that can't stop in time for the red light on his end. Normally, your car would be sideswiped and anyone in the passenger seat, and perhaps yourself, would be horribly mangled and possibly killed. But if your car was equipped with a wireless detection system, you'd be warned and possibly be able to swerve out of the way. 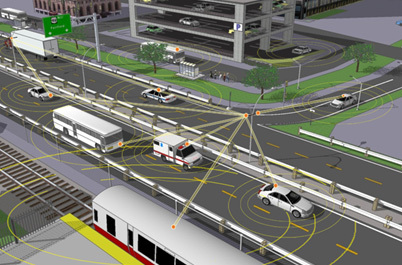 The technology that the DoT is testing will allow what they call "Connected Vehicles" to wireless communicate with each other - and with traffic lights, dangerous road segments, and railroad crossings - to hopefully make traffic accidents a thing of the past. "A NHTSA report found that connected vehicle technology has the potential to address 81 percent of all unimpaired driver related crashes, but we must take a serious look at how this technology will work in the real world to create a safer transportation system," DoT representative Peter Appel said. 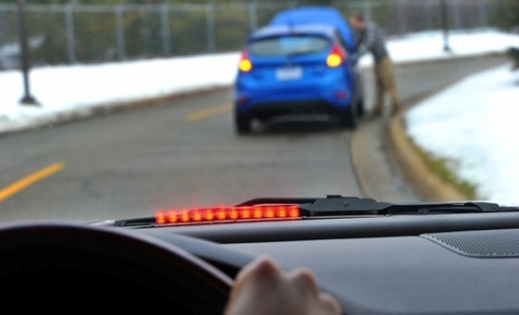 The DoT will test 100 vehicles equipped with a wireless system and a bank of red warning LEDs to help drivers assess dangers that may not be in their line of sight. The test starts in suburban Michigan, but will eventually move to cities like Dallas and San Francisco by the start of 2012. "We need to continue to research vehicle-to-vehicle technology, but these systems show a great amount of promise. We could be on the brink of making a real cultural change in terms of preventing crashes altogether," another rep said. While I don't think this kind of technology will remove the chance of roadway fatalities, it's certainly a step in the right direction. We use computers in cars to park themselves and help maintain gas mileage, why not use them to help reduce crashes?